Lakeshore is an active rock band from New Fairfield, CT, headed by brothers Ben and Joe Lionetti (guitarist & drummer) who originally founded the metalcore giants Emmure . The band has deep roots in music and combines a very powerful and melodic sound with a fresh new touch, unlike any other. 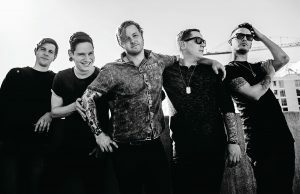 Along with Ben and Joe, Lakeshore includes vocalist Shawn Adams , bassist Chris Segovia , and lead guitarist Mitch LoBuglio . Hey! Thanks for having us were in Connecticut getting ready for our first show on Warped Tour tomorrow. No music playing in the background at the moment, but we love everything from the 60’s to today- to the King of Pop to the King of Rock we jam it all! Yea, 2016 was more of a developmental/set up year where we go all the music, art, photos, even members together – We only even announce Lakeshore as a band in January 2017. This year will be more of taking that actual product and putting it to use on shows/tours and things like that. I think we all knew we wanted to be musicians. Joe and I’s (Ben) father was in bands playing around the east coast since we were born so it kind of came as second nature to us. Although Lakeshore the name comes from the street we grew up on I think it also represents and sets scenic picture, which is what we try and “paint” with every song. I always like to ask artists how their hometown has been an influence on the kind of music they make and really what kind of a band they are today. So how has being from Connecticut influenced you all? Well CT/MA/NY are homes to many influential artists from Killswitch Engage to Aerosmith and that’s exactly the vibe we go for. A sound that’s new and fresh yet still calls back to real rock and roll pioneers. I think there’s something to be said for the East Coast bands and the realness they carry over into their craft. 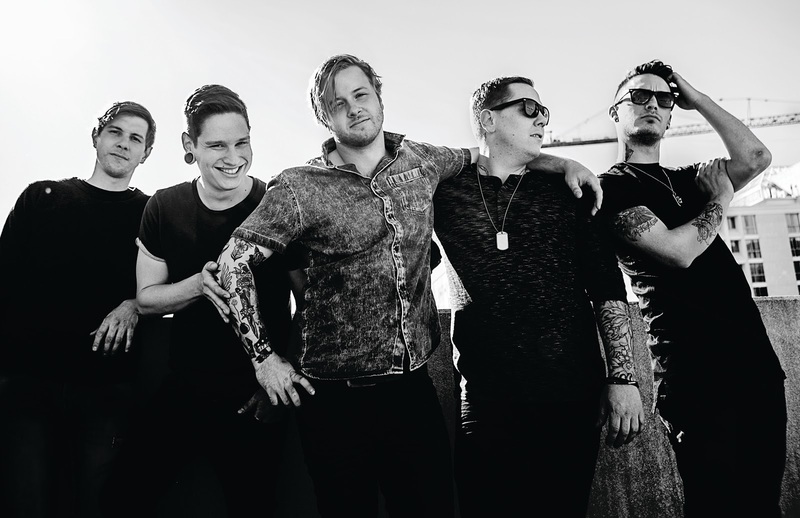 What was it like recently signing with Outerloop Records? Why do you think they are the right label for this band today? We have had a relationship with Mike Mowery well before Lakeshore was even a band. He had been a factor in our old band Emmure getting on one of our first real tours with a band called Misery Signals. Once we reconnected it seemed like a natural fit. We were going to release it ourselves so to have him step in and help us set it up was a no brainer! Let’s talk about your debut EP called “41” that you will be releasing next month. What was it like putting this collection together? Did anything at all surprise you about the whole process? 41 came pretty quick I think it was a lot of emotion that I had stored up over the years away from music. I knew I had things I wanted to portray with these songs so it was a fairly easy process. What was the inspiration for the songs on “41”? The songs and lyrics on the record are really born from i deep belief in ourselves and wanting to vocalize that feeling so others in the same position can take away a real meaning from our music yet have fun with it at the same time. What was it like making the music video for your single “Future”? How creatively involved were you all with the making of it? How does this track compare to the rest of “41”? Future was a fun music video to make! We knew we wanted to touch upon certain “hot topics” (no pun intended) with the narrative and story behind it. We always have complete creative control when it comes to concepts and ideas for the band whether it be video or otherwise. Future and History I would say are the 2 more rock oriented songs on the record. We also have a heavy bouncy track with Kings – and even a more progressive/ambient track in Control there’s no real guidelines when we write music we just do what feels good at the time. How excited are you all to be heading out this summer on the 2017 Vans Warped Tour and the Hero With A Thousand Faces Tour with Alesana? What do you think makes a perfect show for Lakeshore? Can you recall a favorite show in the past? We are all excited to get these shows and tours going. This entire year has been a building process leading up to these shows, which actually will be our first live events. So we couldnt be more stoked to have everyone actually see what we have going on in a live setting. We love everything from the Eagles to Paramore – Dream collab for me though would be Steven Tyler for sure! Its all self empowering, believing in yourself – cliche I know but we stand for it. We also hope with whatever the personal message we put in the songs that the listener can take away their own meaning and apply it to their own life so it helps them with whatever situation they are dealing with at the time. As long as you TRULY believe this is what you want to do and you believe you have the skills patience and determination to do it then Go for it and don’t look back – most people/bands give up or quit before giving it a real chance to happen. Rome wasnt built in a day and neither will your band. 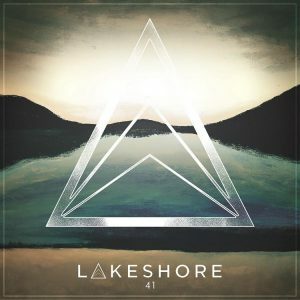 Just help support the band as we get things up and running – you can see/listen/buy everything we have going on at www.LakeshoreOffcial.com – Connect with us on social media (we always respond) and hope to see you all at a show in your city!